One of the biggest obstacles a larger board must overcome is facilitating input from a larger group. Keeping deliberations focused and objective quickly becomes a challenge. Fortunately, boards can use a handful of techniques to better accommodate a broader pool of opinions. Implementing a well-trained moderator to facilitate a board’s deliberation may prove to be a quick win for larger groups. An effective moderator is not afraid to assert themselves in a board meeting by, interjecting, interrupting, or abruptly refocusing the conversation as needed. It’s no small task, to be sure, but can be effective in keeping a large inflow of opinions organized and on-track. Delegating the Evaluation Phase of decision-making to smaller committees can be helpful in ensuring that, whatever decision a board makes, it’s based on research and expert opinions. Regardless of whether or not the information required for effective decision-making is filtered and vetted by a smaller committee, board members must focus on condensing that information such that it can be communicated concisely and unambiguously to a larger group. While many of the decision-making techniques we’ve covered on the Directorpoint blog are often only used when deliberations are stalled by analysis paralysis or division amongst directors, it may be helpful to implement these techniques at the top of deliberations in order to keep the conversation structured, focused, and objective. A handful of pitfalls can stall the deliberation of any board, regardless of size. The influence of bias, an absence of honest and candid opinions, and a digital infrastructure that’s unable to meet your needs can all hinder a board’s decision-making effectiveness. Let’s talk about mitigating bias on a larger board. In small boards, bias often manifests when one or two domineering directors assert control over deliberations. Bias is natural. It doesn’t make you any less of a board member. But you need to create an environment in which other directors are allowed to challenge your bias without fear of judgement or retaliation. One of the most effective techniques for pointing out bias to an otherwise obstinate board member is to simply count the number of times they dismiss an opposing opinion and making them aware of it. There’s a good chance that accusing someone of bias will be perceived as passive aggression or a subjective judgement by the person you call out. Keeping a count of the number of times an opposing opinion is dismissed or otherwise written off without fair consideration of the facts presents an objective metric. In larger groups, however, you’re more likely to have divisions between larger groups of people. Those larger divisions are comprised of two types of people: those with deeply-held biases and those who may not feel strongly about the position they’re supporting but don’t want others in that group to view them as a source of opposition. 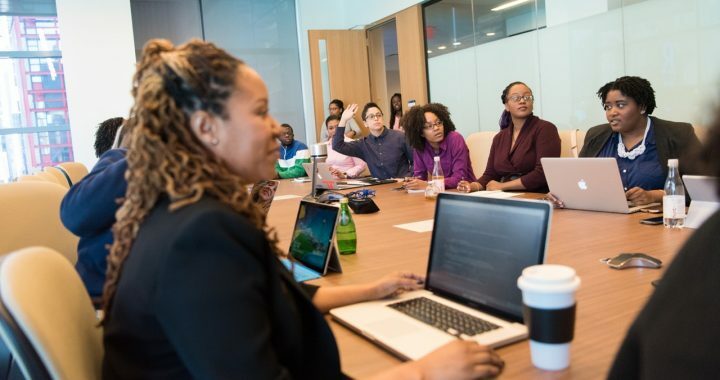 The two best strategies for identifying and mitigating bias in a larger board of directors are (1) to implement a system of anonymous voting, and (2) asking board members to challenge their own opinions. In a deliberative assembly, people sometimes feel the need to defend their opinions simply to defend them. No one like to admit that they’re wrong. That’s where assigning a little homework comes in handy. Asking board members to go home and either research the risks of the opinions they support or both the risks and benefits of the opposing opinion gives board members the opportunity to challenge their beliefs outside of an environment in which they feel the need to defend them. When maximizing your decision-making effectiveness, honesty matters. Promoting candor in a board’s deliberations is an effective method of identifying risk and mitigating bias. But breaking the ice on honest opinions isn’t easy. Larger boards increase the chances of someone speaking out, saying what needs to be said, but the pool of people with the right experience to weigh in on a given issue shrinks the more specific that issue gets. Creating an environment that promotes candor should be a best practice for any board; moreso for the larger ones. The two best methods of identifying and addressing a lack of director candor are (1) providing them with the tools to submit anonymized feedback, and (2) designating a well-trained moderator. Anonymized voting and surveys go a long way in creating an environment which promotes candor and an effective moderator won’t hesitate in asking for input from those they feel are holding back on offering their honest opinions. Choosing the right technology is important, even for smaller boards. For larger groups, it can substantially impact the effectiveness of decision-making. Making informed, effective decisions is the primary responsibility of a strong board of directors. Organizing that information and the discussion surrounding that information gets harder the more information you have and the more people you have discussing it. The two best ways to structure a board’s digital infrastructure to accommodate a larger group are (1) using a board portal instead of an enterprise communication app, and (2) using a single app instead of spreading your board software across multiple applications. A user-friendly board portal can be one of the most effective ways of keeping deliberations on track. 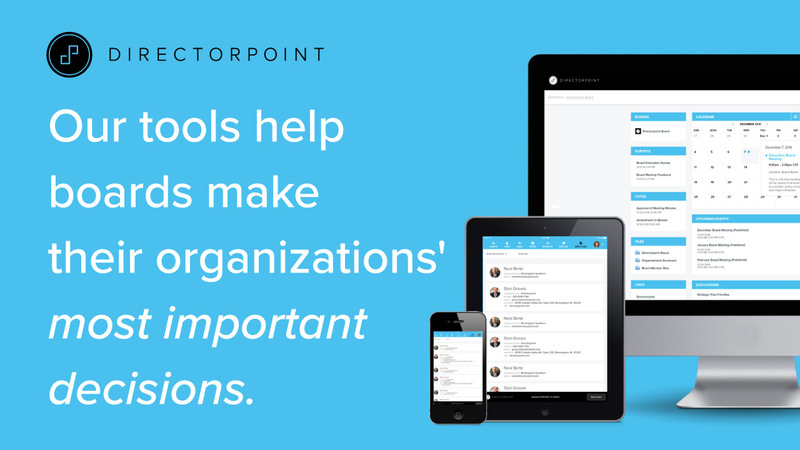 Spreading your board portal across multiple apps makes it harder for a larger board of directors to remain on the same page. Using multiple enterprise communication, each only partially capable of fulfilling a board’s needs, only makes things worse. Directorpoint’s powerful, easy-to-use board management software is one of the best ways for larger boards to achieve their maximum decision-making potential. Schedule a demo online or call (888) 492-7020 today to speak with a board technology specialist. Posted in Blog and tagged board management software, Board Members, board of directors, board software, large boards of directors.